MILWAUKEE, WI--(Marketwired - Oct 19, 2015) - EnSync, Inc. (NYSE MKT: ESNC), dba EnSync Energy Systems, a leading developer of innovative energy management systems serving the commercial, industrial and multi-tenant building markets, announces the addition of key energy industry executives to the leadership team of the company. 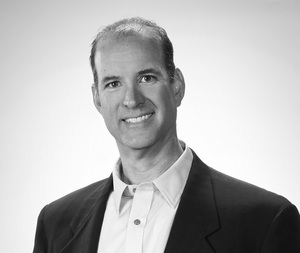 Jim Schott joins EnSync as Chief Financial Officer. Jim has a diverse background in accounting, finance, investor and analyst relations as well as operations experience with energy leaders, including WEC Energy Group, and Integrys Energy Group, where he most recently served as Executive Vice President and Chief Financial Officer. Jim will oversee all finance and accounting activities within the company and will additionally be in charge of EnSync's investor relations function. "I'm very excited to be joining EnSync," said Jim Schott. "EnSync's PPA development strategy creates exciting opportunities for new applications of structured financings and a great opportunity for me to apply my public company experience." Rick Whisman joins EnSync as Vice President Sales. 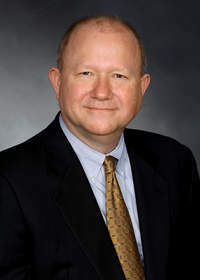 He has a strong background in solar project development for Commercial and Industrial ("C&I") building customers, including working as a Manager of Project Development at Powerlight Corporation, then Director of Commercial Accounts for the Americas at Sunpower Corporation, following the Powerlight acquisition. He has successfully penetrated and grown the solar business in the C&I segment with several Fortune 500 companies. Most recently Rick founded Sol Patch Resources, a California based solar project development company that has more than a dozen active projects. "Market penetration of renewables with storage is just starting, and EnSync's product offerings and new product developments put EnSync in the lead to achieve a major market share position," said Rick Whisman. "I'm very pleased to have the opportunity to drive this effort at EnSync." EnSync has successfully closed a number of contracts for distributed energy generation systems, services and components over the last 10 months. The contracts include grid-connected customer side of the meter systems and power purchase agreements (PPAs), microgrid installations, engineering services and successful integration of third-party storage products with EnSync's intelligent energy management systems. "We're very excited to have Jim and Rick join us as part of the EnSync leadership team. They bring experience and competency that will help us get to the next level, where we scale our operations and sales of components, systems and power purchase agreements," said Brad Hansen, CEO and President of EnSync Energy Systems. "Their joining the company is validation that EnSync has the capability to attract key talent after a successful re-making of the company into a leading provider of distributed energy generation systems and services for commercial, industrial and microgrid applications." The majority of EnSync Energy Systems' recent contracts are in the commercial and industrial building market segment. Greentech Media estimates that by 2018, the market for combined energy storage and distributed solar generation systems for commercial and industrial buildings will be more than $600 million in the United States alone. EnSync has taken an early lead in this growth market due to differentiated products and business model solutions. "EnSync is well positioned to capitalize on the growth of the C&I building market segment. We will continue to ensure the company has the right talent and builds the sales channels and operational capability to capitalize on the great opportunity ahead of us. Jim and Rick will be key to this effort," said Hansen. EnSync, Inc. (NYSE MKT: ESNC), dba EnSync Energy Systems, is enabling the future of electricity with intelligent energy management systems critical to a global economy becoming increasingly reliant upon the expansion of renewable energy. Whether part of the grid power transmission and distribution network, or behind the meter in commercial, industrial and multi-tenant buildings, EnSync technology brings differentiated power control and energy storage solutions to electricity-challenged environments. Our technologies also serve as the system level intelligence in microgrid applications, by seamlessly integrating multiple generation and storage assets to deliver power in remote and community level environments not served by the grid, or areas electing to use the grid secondary to microgrid assets. In 2015, EnSync incorporated power purchase agreements (PPA's) into its portfolio of offerings, enabling electricity savings for customers and providing a stable financial yield for investors. EnSync is a global corporation, with a joint venture in AnHui, China at Meineng Energy, as well as a strategic partnership with Lotte Chemical in South Korea. For more information, visit: www.ensync.com. Certain statements made in this press release contain forward-looking statements within the meaning of Section 27A of the Securities Act of 1933, as amended, and Section 21E of the Securities and Exchange Act of 1934, as amended that are intended to be covered by the "safe harbor" created by those sections. Forward-looking statements, which are based on certain assumptions and describe our future plans, strategies and expectations, can generally be identified by the use of forward-looking terms such as "believe," "expect," "may," "will," "should," "could," "seek," "intend," "plan," "estimate," "anticipate" or other comparable terms. Forward-looking statements in this press release may address the following subjects among others: statements regarding the sufficiency of our capital resources, expected operating losses, expected revenues, expected expenses and our expectations concerning our business strategy. Forward-looking statements involve inherent risks and uncertainties which could cause actual results to differ materially from those in the forward-looking statements, as a result of various factors including those risks and uncertainties described in the Risk Factors and in Management's Discussion and Analysis of Financial Condition and Results of Operations sections of our most recently filed Annual Report on Form 10-K and our subsequently filed Quarterly Reports on Form 10-Q. We urge you to consider those risks and uncertainties in evaluating our forward-looking statements. We caution readers not to place undue reliance upon any such forward-looking statements, which speak only as of the date made. Except as otherwise required by the federal securities laws, we disclaim any obligation or undertaking to publicly release any updates or revisions to any forward-looking statement contained herein (or elsewhere) to reflect any change in our expectations with regard thereto or any change in events, conditions or circumstances on which any such statement is based.